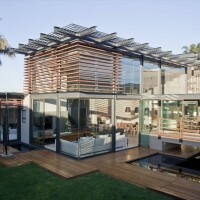 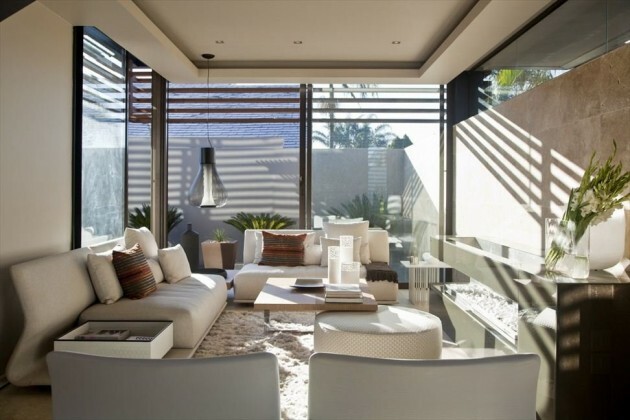 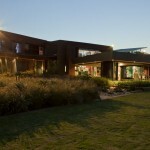 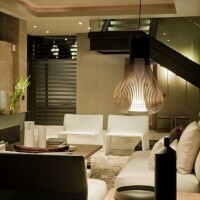 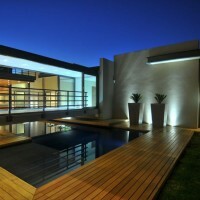 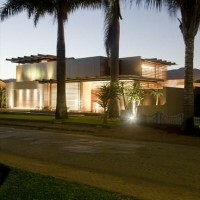 Nico van der Meulen designed the Abo House in Limpopo, South Africa. 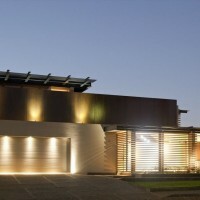 On the Tropic of Capricorn, where the heat is excessive, houses can’t simply be built without taking this factor into account. 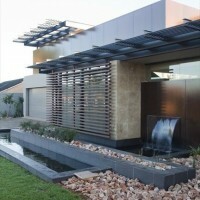 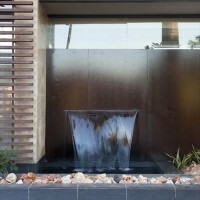 When faced with the challenge, Nico van der Meulen Architects responded with a breathtaking plan. 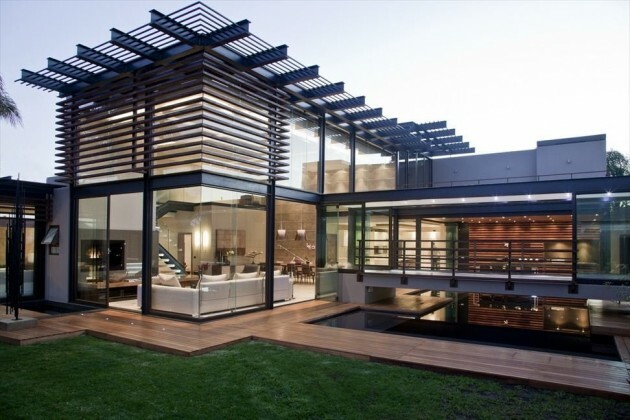 Not only the size of the habitable area had doubled, but the final result was the creation of a natural cooling system thanks to the numerous water features, the pool and the large expanses of opening glass which let the sun in only during winter. 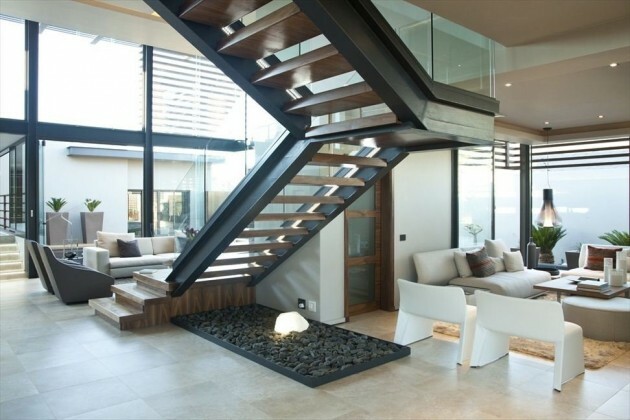 House Abo presents double volume areas adorned with steel and glass, and a magnificent staircase highlighted by designer lighting, which elegantly connects the lower and the upper levels of the house. 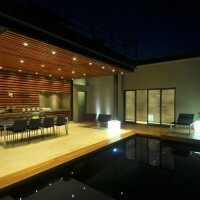 The outside space with the pool is encapsulated by a timber wall which is beautifully lit and intentionally reflects into the black painted swimming pool. 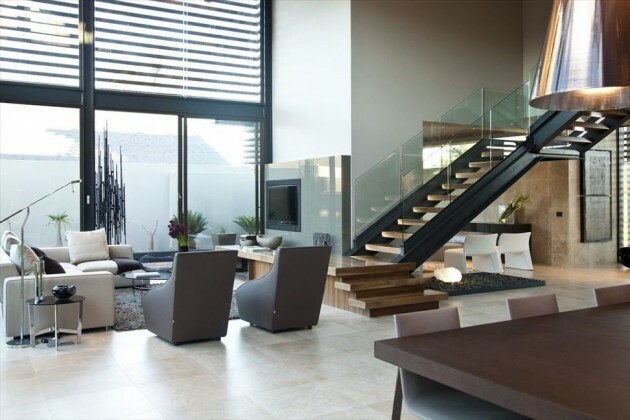 The in-house interior design department, M Square Lifestyle Design, has taken care of the interior design, suggesting and obtaining creative and inspiring areas all over the house.